Kevin Trudeau is widely known as a controversial author, and advocate of homeopathic and natural cures. 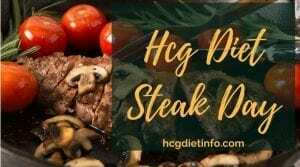 His most famous book, “The Weight Loss Cure They Don’t Want You to Know About,” was based on the research and practice of Hcg hormone used for weight loss by Dr. A.T.W. Simeons. The book sold millions of copies, and was celebrated across the country. On the other hand, critics and the FTC were not as accepting of the claims and Trudeau was eventually stopped from marketing the practice further. 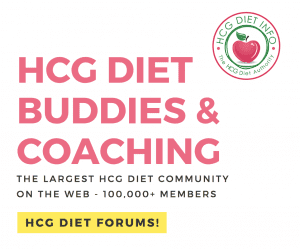 As a result of Trudeau’s book, the Hcg weight loss program has been adopted and adapted by countless physicians across the world. 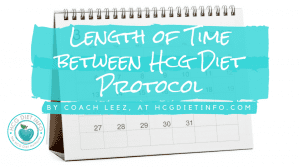 There are now thousands of protocol variations and millions of success stories, with the diet becoming more mainstream in popularity each year. In fact, the diet has been featured on Dr. Oz multiple times, as well as on Rachel Ray Show, and countless news and morning shows. 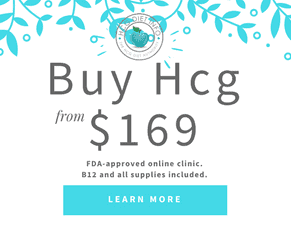 In Hollywood, the use of Hcg hormone has become a popular choice for celebrities wanting to lose weight before premieres and has been widely promoted by celebrity doctors. 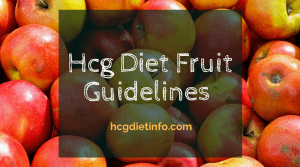 This version of the Hcg Diet varies widely from the original protocol by Dr. Simeons. According to Trudeau, the first month of the HCG diet is designed to detoxify your body and prepare you for lifelong weight management. This is the first distinction between his version of the diet and Dr. Simeons, who didn’t actually include phases in his protocol. The Weight Loss Cure includes 3 phases, a large number of supplements, organic foods, and significant amounts of exercise throughout the weight loss phase. These are outlined below. 1 tablespoon raw organic apple cider vinegar – ideally added to salads or used in cooking. Salad with portion of soup, sandwich or chicken breast with all fat removed. 1 apple – with or without cinnamon. Eat dinner with a salad. Before bed eat 100 grams of protein in the form of chicken breast, turkey or protein shake. Drink 1 cup of Natural Calm tea. Water: ½ to 1 gallon per day, preferably at room temperature. No treated tap water. Spring water is suggested. Digestive Enzyme – 1 pill or sachet added to water at the beginning of the meal. Coconut Oil – Stimulates metabolism, improves digestion, stimulates the thyroid, and helps release fat cells. Raw Organic Apple Cider Vinegar – stimulates metabolism, helps cleanse internal organs, and helps release stored fat cells. 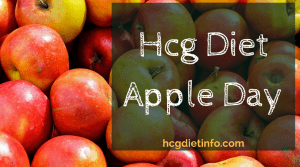 An interesting article on apple cider vinegar. Organic Life Vitamin – Also recommended: 12-in-One Soft-Gel Multi fuels the body with 117 nutrients, 72 trace minerals and 47 fruit and vegetable concentrates. Designed in a soft-gel formula that is easy to swallow and fast-absorbing, 12-in-One features premium ingredients from all 12 essential nutrient groups that a body needs to thrive. Organic Yerba Mate Tea – for increased energy, reduced appetite, and to stimulate the release of fat cells. Citron Green tea from China with the delicate flavors of lemon and lime. A happy marriage of great taste and proven health benefits. Just the right touch of citrus flavors to liven up the cup. Makes a light and refreshing drink that’s popular both hot and iced. If you are new to green tea, this lightly flavored tea may be a good place to start. Omega 3 – increases circulation, increases oxygenation in the body, decreases appetite, and promotes normal hormone levels. 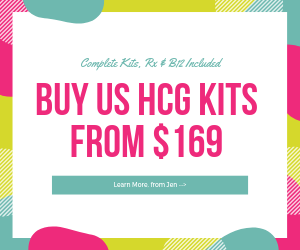 Kevin Trudeau’s approach to the Hcg weight loss program, has been a controversial but successful one. While not all doctors agree with his approach, there is no argument that it has made significant contributions to modernizing the Simeons Protocol and bringing it into the mainstream as one of the most popular and successful weight loss programs in decades. 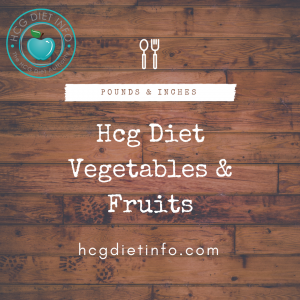 Learn about the Hcg Diet Plan… and see the accurate updated list of approved foods you can eat on the Hcg Diet Plan.